Blocking. 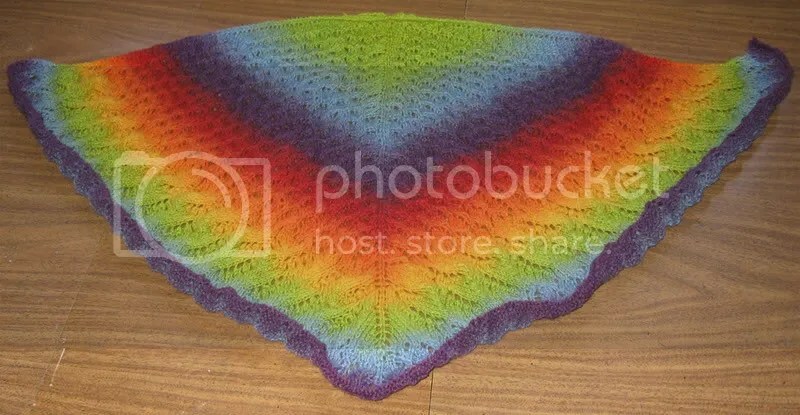 I knew this shawl was going to turn out big, so to cut the size down a bit I changed the pattern so it doesn’t have a scalloped edge. Close up of the border. 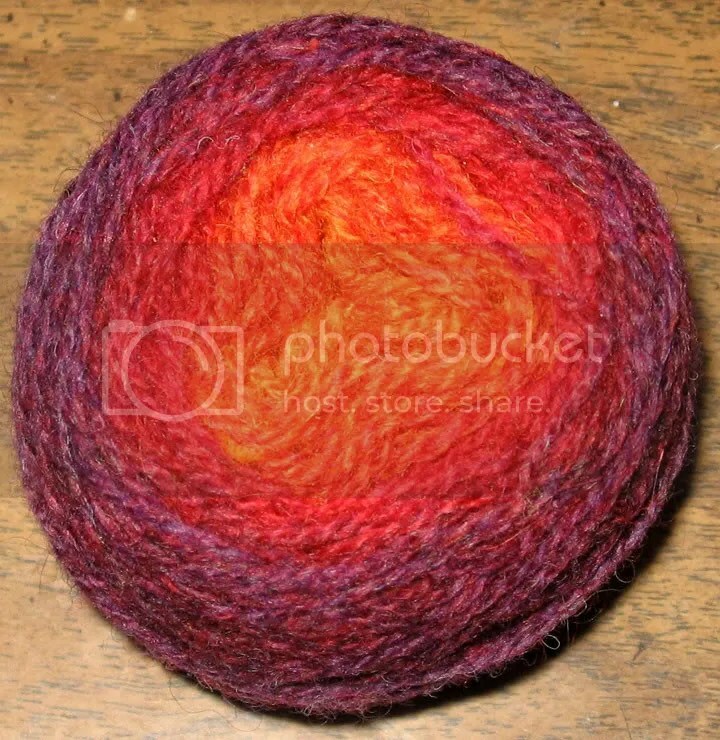 Leftover yarn. The purple was just starting to turn red. Ohhh I cant wait to see the blocked one! 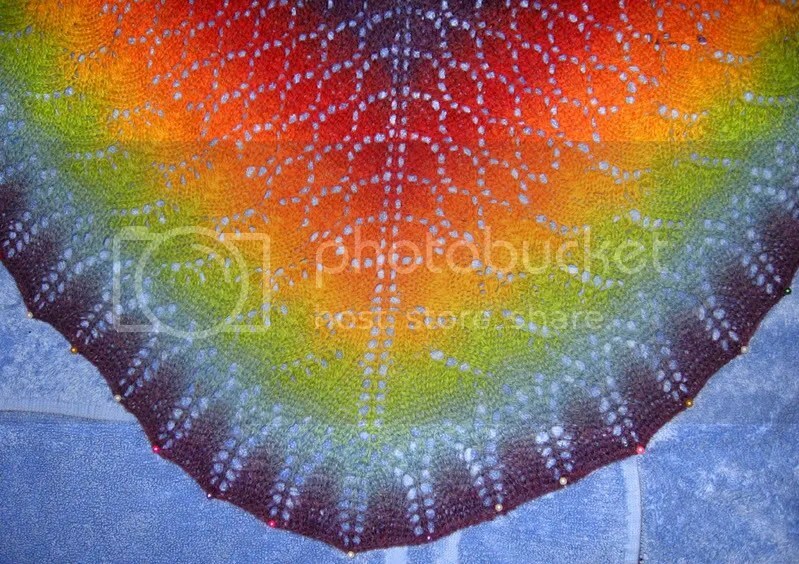 The shawl is just stunning…. 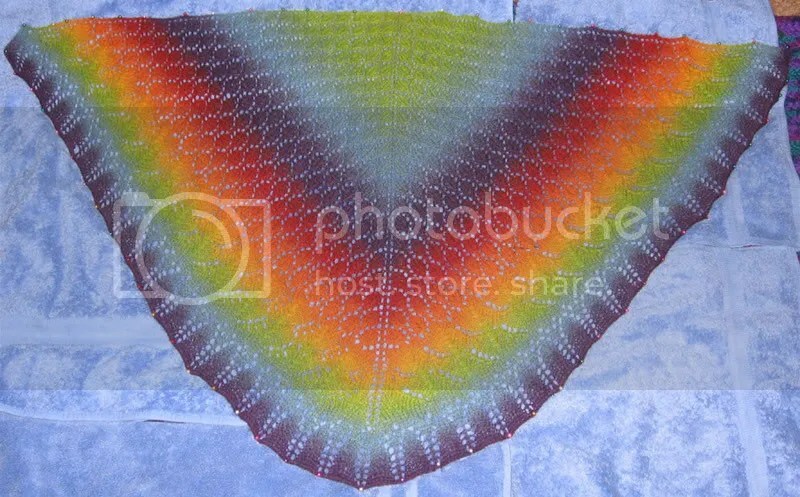 I want to make a lacey shawl for my Mom…..
I’ve enjoyed watching you knit this and finished it’s even more gorgeous than I imagined.